MH: Nothing will send you screaming like that empty piece of paper. That’s when you decide that you really do like weeding — anything to not confront that. The key thing is, don’t stop and think. The pen (or the keypad) must always be flowing; don’t edit yourself, just do it. There are times when you’re just inspired, and it keeps coming, and that is rare. Don’t stop and look at the punctuation. Do that later. EH: As an actor, what are the qualities of a director that you admire? MH: A good director is someone who creates a very supportive, creative work environment. The energy in the room determines how many risks you take and how comfortable you feel to try something new. A good director is somebody who’s prepared, but not rigid about it, who can feed you ideas so subtly that you feel that they’re your own. A director’s going to be a different person to every person in the cast. Some actors want a parental figure. Some actors want to be completely left alone — they’ll know when they need help. As a director, you spend hours of preparation, then it’s all thrown away the minute you walk into the rehearsal room. But you have all of that to back you up based on what’s going to be thrown to you. A good director says yes to all ideas. If you keep saying yes to an actor, his intuitive side is going to come out; and his bad ideas will go away eventually. 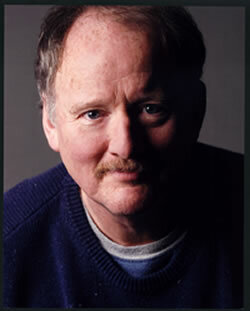 EH: At the American Conservatory Theatre, you were directed by Bill Ball; what did you learn from him? MH: The unbridled theatricality; the great entrance. For group scenes, he would bring in big books of the Dutch Masters’ paintings, and he would say, “Look at all the different ways of how these bodies are relating.” He taught us how to sculpt ourselves so that the scene is always focused, but creating something interesting. EH: You studied with Uta Hagen; what insights did she have for you? EH: What are your criteria for a great production? MH: One-hundred percent unity is nearly impossible. It’s really hard. All of the performers and all the designers on the same page, lined up with the director’s interpretation of the playwright’s intention. When it’s all unified, when it all tells a really clear story, when it involves you, when it moves you, when it makes you question your own position in the universe, when it’s all working with all of its pistons, that’s rare — a transcendent theater experience.